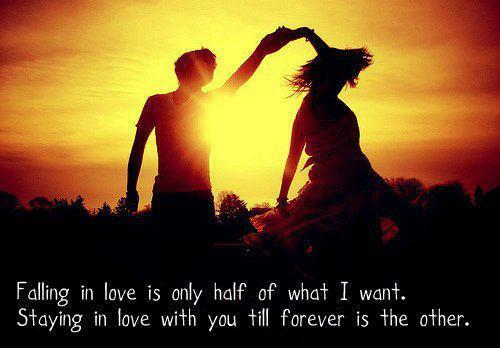 “Falling in love is only half of what I want. It’s true that we don’t know what we’ve got until we lose it, but its also true that we don’t know what we’ve been missing until it arrives. You’ll never find the right person if you don’t let go of the wrong one.